Four long years. That's the amount of time David F. Vennels had been suffering with Post-Viral Syndrome after a serious disease. He was so weak he could not even hold his arms above his head to wash his hair. Over those years he was also in a serious accident; spent his time in bed or being pushed in a wheelchair; and suffered from clinical depression. One day, he went to a lecture and experienced a healing technique known as Reiki. Almost immediately he started to feel better. 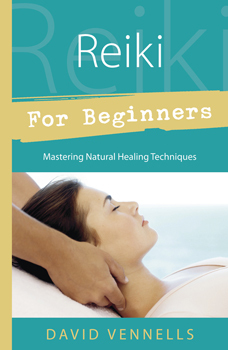 In Reiki for Beginners, Vennels reveals the rest of his story, including how he was healed, learned Reiki, and became a practitioner and teacher of this healing method. But the book is not really about his story. It's about you. It's about how you can use Reiki to heal yourself and others, even your pets. It's about how you can make Reiki a part of your daily life in order to bring more peace and creativity into your day-to-day activities. In this book you'll learn how to prepare for a Reiki Empowerment (initiation), and what to expect when you go through it. You'll learn how to place your hands on yourself or another when doing an "attunement" (healing). You'll learn meditative techniques and other methods that can bring you peace, serenity, and joy every day of your life. And you can easily share that with others. Since Reiki work uses universal energy, and since that energy is directed by will, the potential for Reiki is virtually limitless. You can use it to heal physical ailments and bring relaxation. It can improve your concentration and memory. And it can be used to complement and enhance other healing systems.